I like tacos. No, I really like tacos. Reading this, you might think that we have something in common, but I’m still pretty sure that I like tacos more than you. This particular culinary curiosity has led me to be a bit of a taco snob. In terms of hipsterisms, being snobby isn’t something new. Lots of hipsters are beer snobs or coffee snobs or music snobs or technology snobs or bicycle snobs or etc etc. You get the point, right? I’m going to say this here first: I am a taco snob before it is cool. This taco snobbery has kept me in pursuit of the perfect taco: authentic, flavorful, meaty; juicy but not wet, loaded but not messy, soft but not chewy. I’m not talking about the kind wrapped in a Dorito shell or the “$1 taco Tuesdays” at the local pub. My taco has to have the right aroma, the right mouthfeel, the right finish. The trouble is, all of the places where I have found the most flavorful and delicious tacos tend to be less environmentally minded and more focused on making great tacos. That’s all well and good until you order something To Go and you get a pile of styrofoam containers. As a responsible hipster, I can’t just throw a styrofoam container in the trash where it will end up in a landfill for thousands of years. My disdain for styrofoam even quashes my quest for taco goodness. And this is no isolated problem: gyros, falafels, curries, phos…all seem slated with the same styrofoam situation. Worry no more, for this resourceful hipster has found a solution. 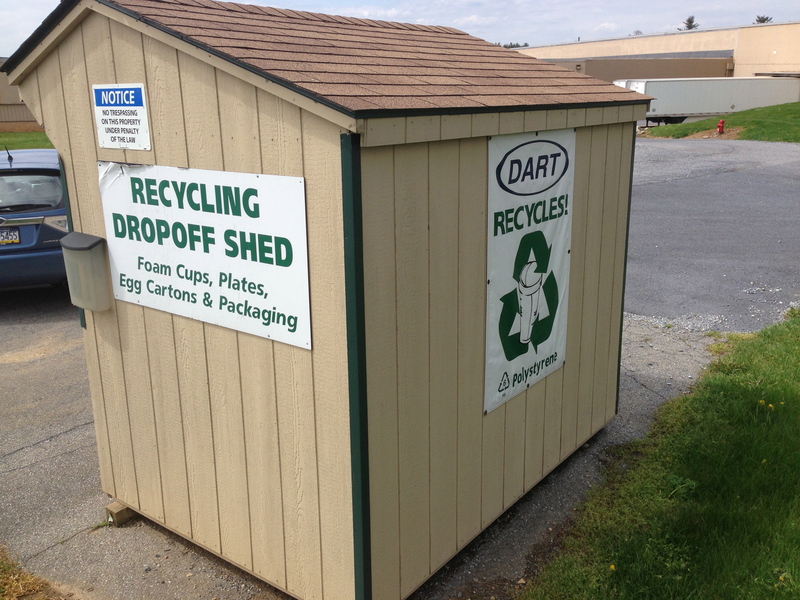 Just because the curbside recycling won’t accept styrofoam doesn’t mean that I can’t recycle it. I just needed to put a little more effort into where I could go to get it recycled. After a little bit of research, I found a drop-off location not far from our apartment. In fact, the joy that I felt was so great, that I had to share this with the neighbors in our building. We printed out an announcement and distributed throughout our building. 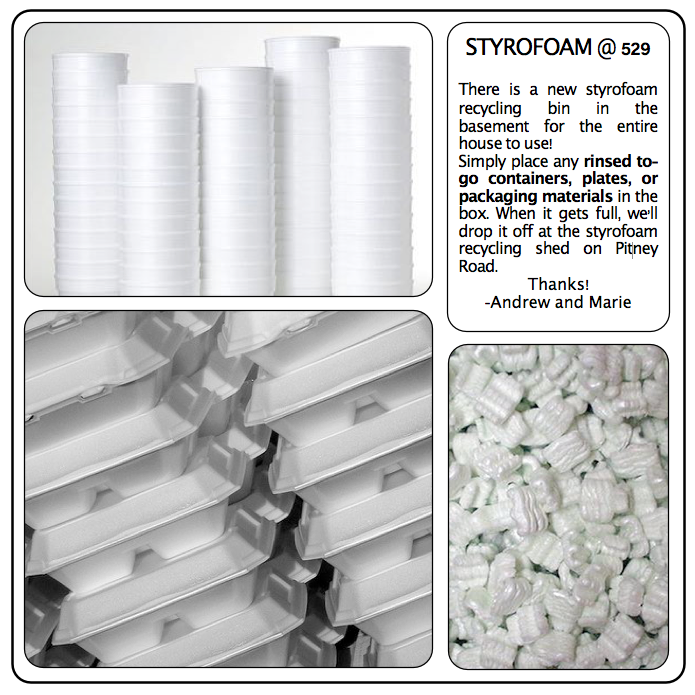 Now everyone recycles styrofoam! My guilt-ridden taco-eating days are gone. I can enjoy my [warning: bad pun ahead] Hunt for Best Tacober free from the tyranny of the toxic container. Speaking of which, writing this post has made me really hungry for tacos. Gotta go.